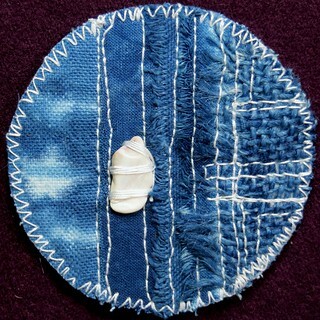 That is a tiny piece of shiny shell stitched to this one. I am having a lot of fun with the textures I dyed with the indigo vat. I haven't checked it to see if it survived a couple weeks of neglect. Tomorrow. Today I spent crossing more things off a giant to-do list.